PORT CANAVERAL, FL. 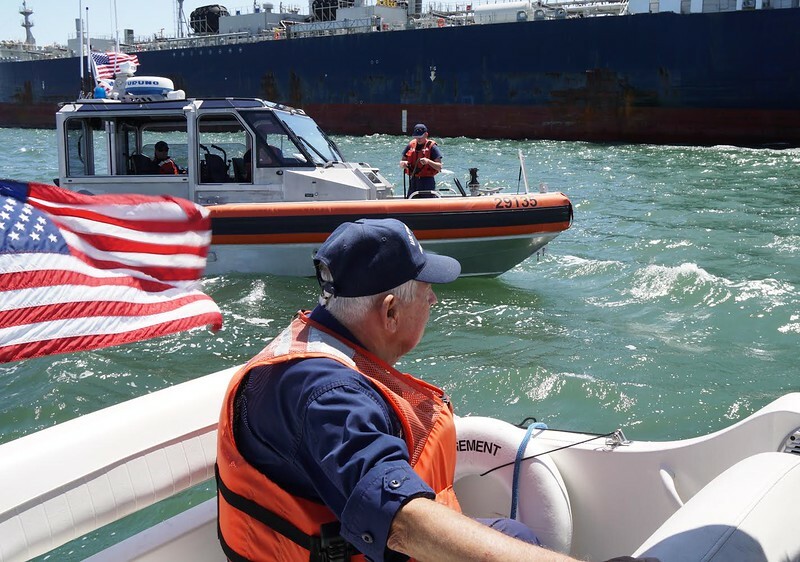 – A Coast Guard Auxiliary vessel and a 29-foot Coast Guard Response Boat - Small (RB-S) conduct two-boat training exercises in the port's middle turning basin. Auxiliarists from Flotilla 6, Division 17, 7th Coast Guard District train frequently with their active duty counterparts from Coast Guard Station Port Canaveral. In this drill, the Auxiliary boat has made a distress call requesting immediate assistance from the Coast Guard. Coast Guard Auxiliary photo by Jill Bazeley.